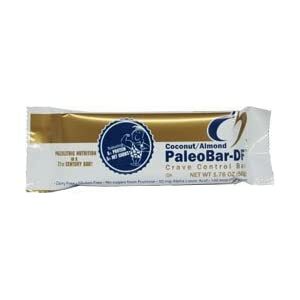 "Paleo" products you'd steer folks away from? A coworker of mine stopped me yesterday to tell me she was starting to diet, and was hoping to get some tips from me. Flattering, I thought. So I'd told her the basic tenets of Paleo, and left it at that. She said, "Oh, I went shopping this morning," and pulled out a Go Raw Banana "Bread" Flaxseed Bar (their quotes on the Bread, not mine). I looked at the ingredients. Flaxseed, banana, unsweetened coconut, organic dates. Wow, I thought, I could eat this. "Interesting." She told me when she had some she'd stop back and let me try it. 20 minutes later, she comes back disgusted with the Bar. "This is awful." I was surprised but not, given that sometimes when you've been eating the SAD, "healthier" stuff might not come off as super-tasty. "Really?" "Yeah," she said, "It's awful. You want it?" I took a bite. And it wasn't bad -- I tasted banana. The consistency was, well, flaxseedy. Pretty much what you'd expect. I swallowed. Okay. Not even five seconds later, there was this...aftertaste? And it went from bad to worse quickly -- like I'd had a bad case of acid banana reflux. "Can I pitch this?" "YES." So the question: has anyone else come across products that follow the Paleo guidelines, and would theoretically be tasty/good...but you wouldn't wish for anyone to eat them/use them? that paleo pasta is pretty good! Larabar uber is not so bad, mostly nuts, and under 10 grams sugar. Canned vegetables & fruit = Better than starving to death. This. I know it's inconvenient, but processed foods are almost certainly not going to "be paleo." Not to mention that canned vegetables taste horrible compared to fresh. Canned veggies that bad? Mostly, yes. The manufacturers do not have to list the preservatives if they are not actually put into the food. Instead, they line the cans with the preservatives (the BPA mentioned by Renee, for the large part). Same end effect, preservatives in the food, but they get around the law. Solution? Either stick with fresh, frozen, or can it yourself! I think I tried this product once. I think I bought the spirulina one, so I thought it would taste ....green. Not like someone threw up banana into my mouth. My generalization I tell people "If it has an ingredients label, it's not Paleo"
How about canned veg? Is that so terrible really? I'd go so far as to say "chew all your food" but especially you're protein. Unless you're dairy friendly and drinking some kefir, all your protein should be chewable. It's called dehydration. Perfectly natural and ancestral. Ever eat jerky? Same thing. i hate omega 6 but i just counter it with omega 3 and its like it dint even exist. this girl? avoid her like the plague, she had already bought that paleo thingy befor she even spoke to you.LOL only joking do what you want to man. Processed food = agreed. I'm referring, however, to the products that would come across as healthy or Paleo-friendly (not saying that it's going to say "PALEO-FRIENDLY!" on the wrapper). I mean, this is obviously geared towards those who want a healthier choice, and all the ingredients would be considered healthy and/or "good for you" -- but it tasted awful. That's pretty much what I was asking about. I'd stress not making nut flours (i.e. almond, coconut flours) a staple in one's diet. I think they're a crutch often for new paleo folks. I'm not saying you can't use them occasionally, I do. Relying on them for daily faux bread isn't the best idea. I always argue that if the food begins with "paleo-" it's not paleo and should be avoided. Eat real food, foods that are ingredients, rather than food that has ingredients. 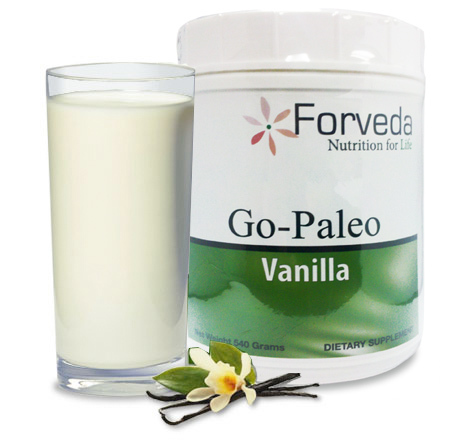 Pretty much anything that is being marketed as paleo should be avoided. There are some exceptions of course but you don't see paleo stickers on fruits and vegetables in the produce store. They don't need them. All of them. I try to eat paleo, not "Paleo". Try Larabars. For example, the Banana Bread bar only has almonds, dates, and unsweetened bananas. The Larabar package claims it is gluten free, dairy free, soy free, non-gmo, vegan, and kosher. Any dried fruits. I don't care if they're homemade. Fruit in general I think is overconsumed. chicken livers- yuck. fed to dog. chicken hearts- yummy- just couldn't look at them too closely or a felt like a zombie people eater. not sure about balsamic vinegar. i love the taste- but cordain says unless its distilled(?) vinegar is a no-go. plus it has sulfites in it. some people have been talking down nuts for being too high in omega 6, but i just read that copper may be very important in iron absorption (i'm anemic) and pistachios have lots of minerals, including lots of copper. i think walnuts do as well.